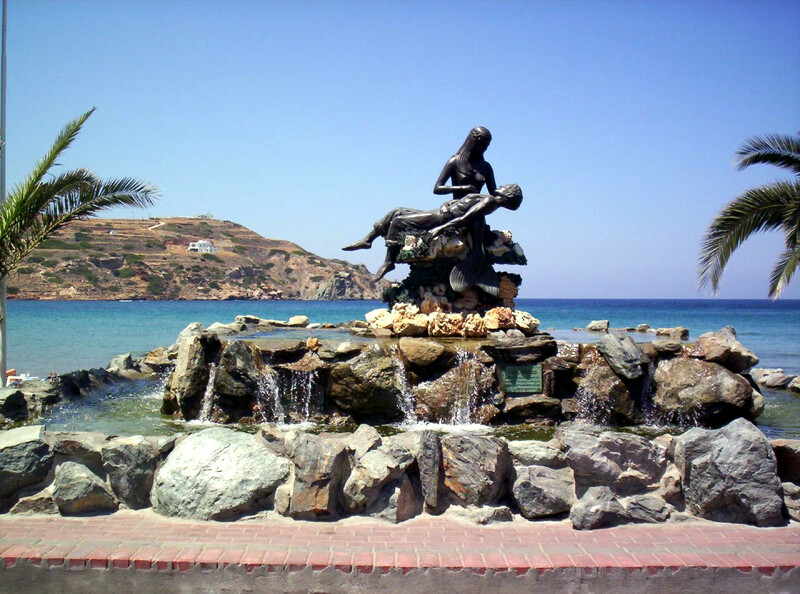 Panagia Gorgona mermaid on Syros in Greece. Photo by Christopher Zervas. 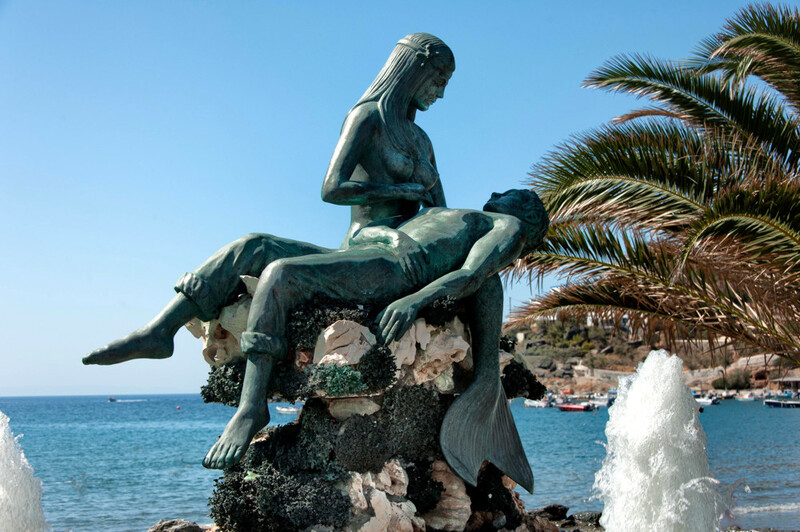 Where better to have a mermaid statue than on a Greek Island? 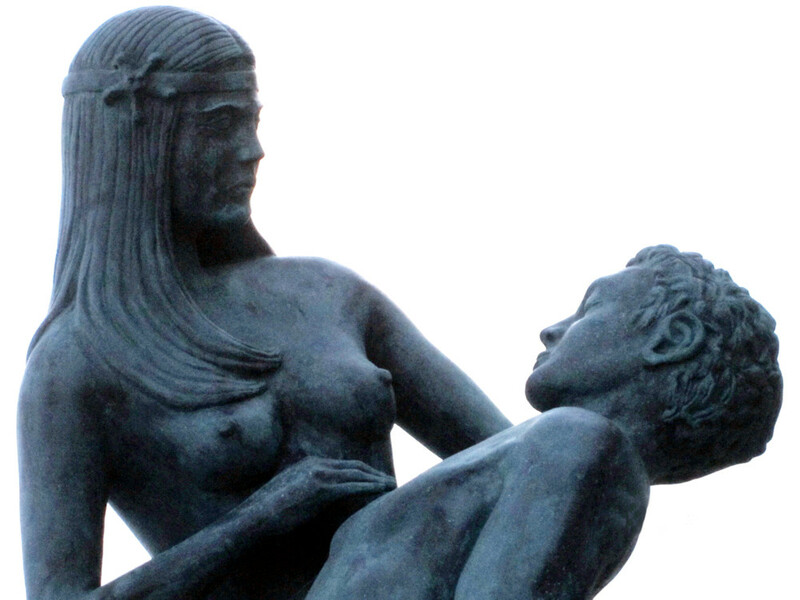 The sculpture was created by sculptor Giorgos Xenoulis of Athens, who also created a mermaid statue fountain on the island of Poros. Panagia Gorgona Mermaid on Syros, Greece. Photo by Olivier Denier Long. 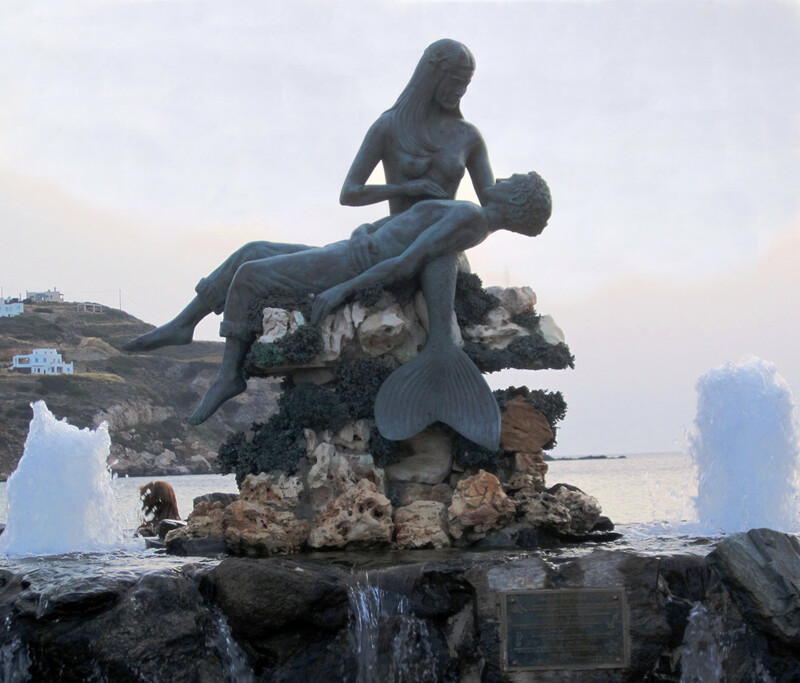 Panagia Gorgona mermaid on Syros in Greece. Photo by Dimitrios Dalagiorgos. More data is needed on this mermaid statue. If you have relevant information, please contact us. There is a plaque on the fountain giving more data – if you have a legible photo of this plaque, please contact us.